I have heard it said that the reason for the permissiveness of Rabbi Akiva and the school of Hillel is that if we interpret the passage as do the school of Shammai then every woman who is divorced by her husband will be suspected of adultery. By technically allowing divorce to occur for trivial matters, we preserve the dignity of Jewish women who, once divorced, may be suspected of having done nothing more heinous than burn their husbands' food - or of being guilty of nothing more than being married to a womaniser. I am trying to find the source for that particular chiddush, which I think is very clever. To my mind, it sounds fairly late - maybe 19th/20th century - and I don't know how to go about finding it. If anybody has heard it before and can provide me with a source, I would very much appreciate it. I have recently found what may be the earliest printed example of this drosh, in an unattributed passage in R' Baruch haLevi Epstein's Torah Temimah. 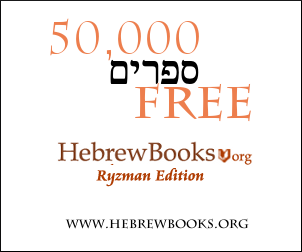 It commences on p353, about halfway through the paragraph that begins with ודעת ר' עקיבא, and continues until the end of the paragraph on the following page. Unfortunately, R' Epstein was a notorious plagiarist, so it is impossible to say with certainty that he was the originator of this clever interpretation, although he does show himself elsewhere in his Mekor Baruch to be interested in the plight of women, and a 19th-20th century origin makes sense. Not the answer you're looking for? Browse other questions tagged mishna divorce arayot chiddush . Does a woman goes back to be sefaradi after divorcing from a ashkenazi husband?